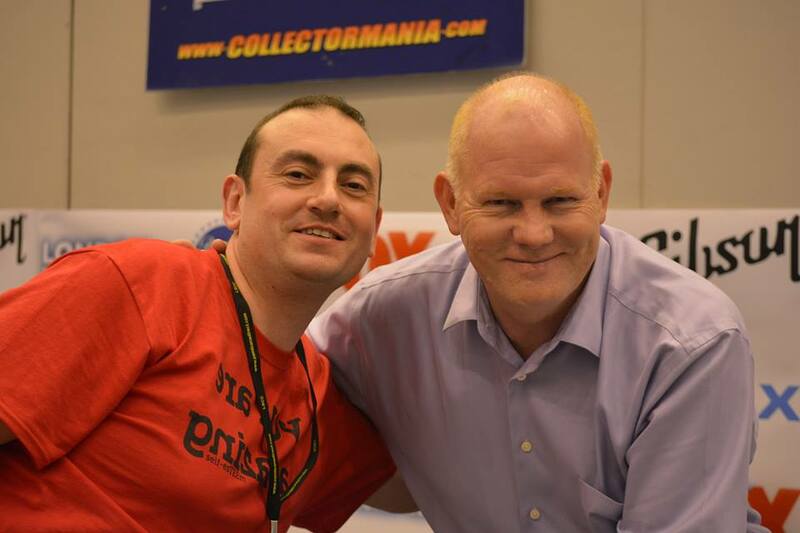 My table photo with Glen Morshower. 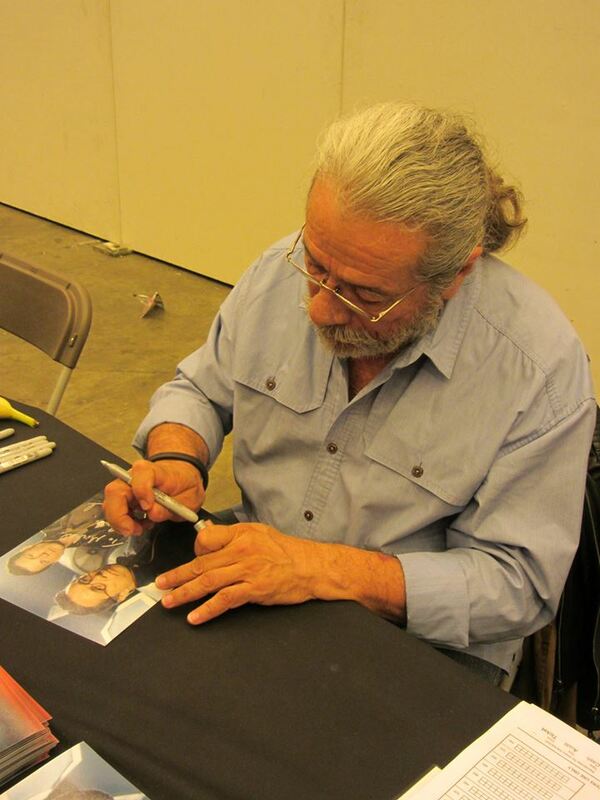 Thanks to Bunny for taking the picture for me. 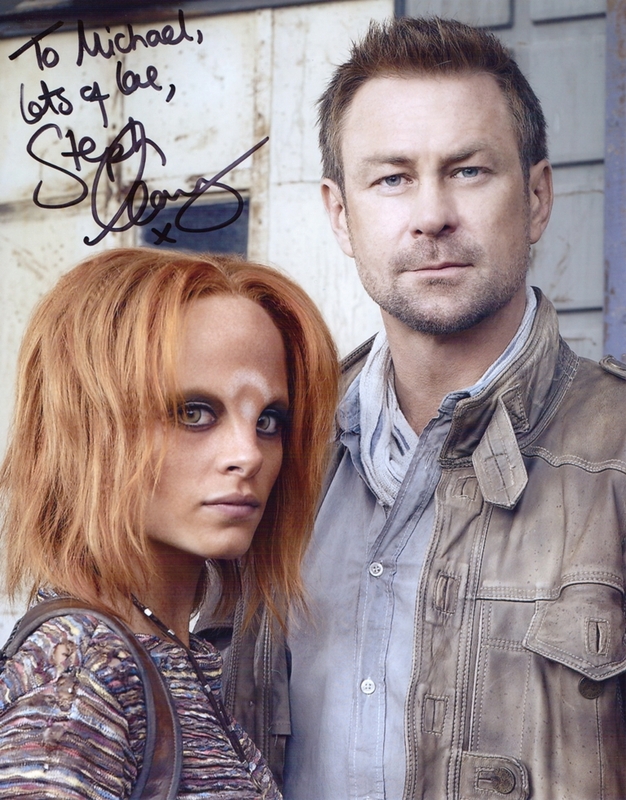 My autograph from Glen Morshower. This particular episode had a special meaning to Glen. My photo shoot with Terry Farrell. 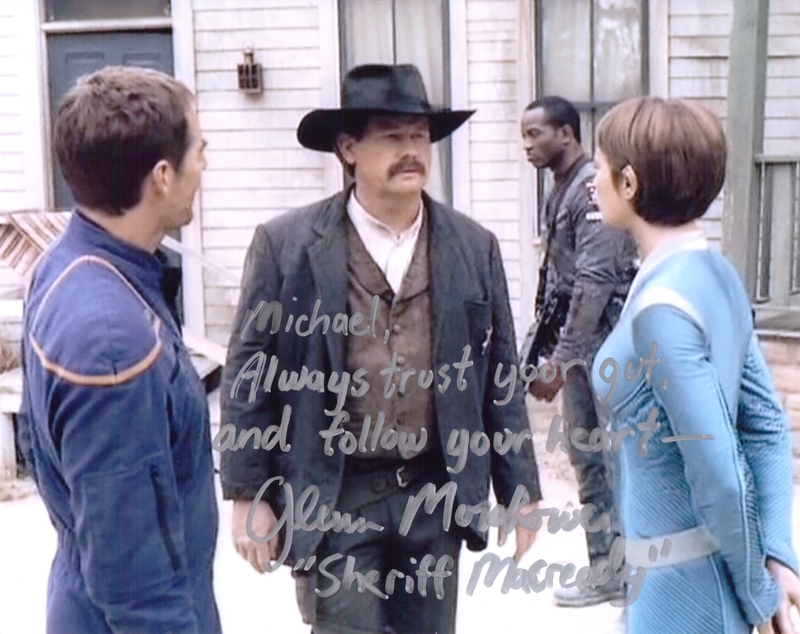 My autograph from Terry Farrell. 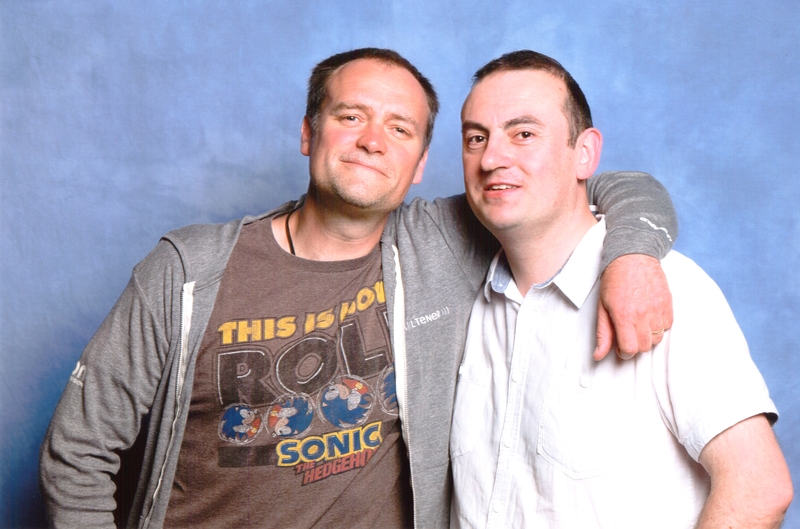 My photo shoot with David Hewlett. 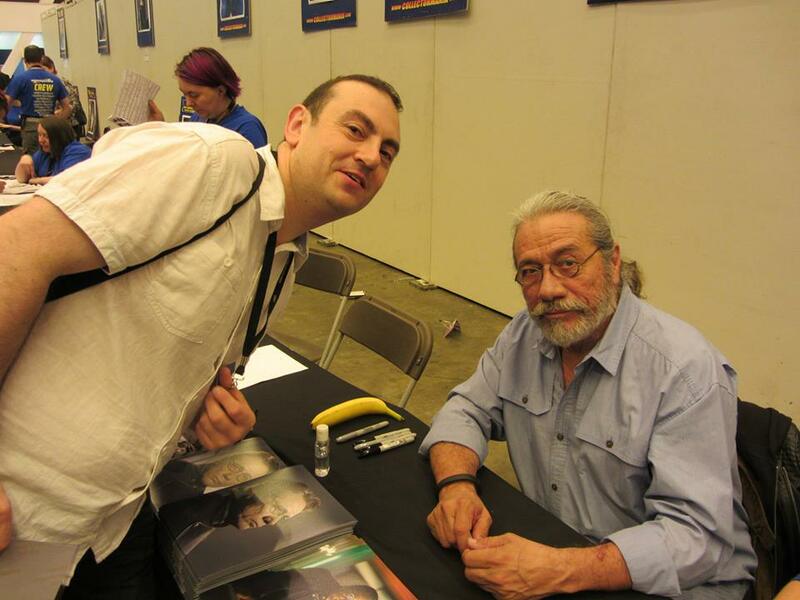 I had always wanted to meet Rodney…. My photo shoot with Stephanie Leonidas. Mt table photo with Stephanie Leonidas. Thanks to Bunny for taking the picture. 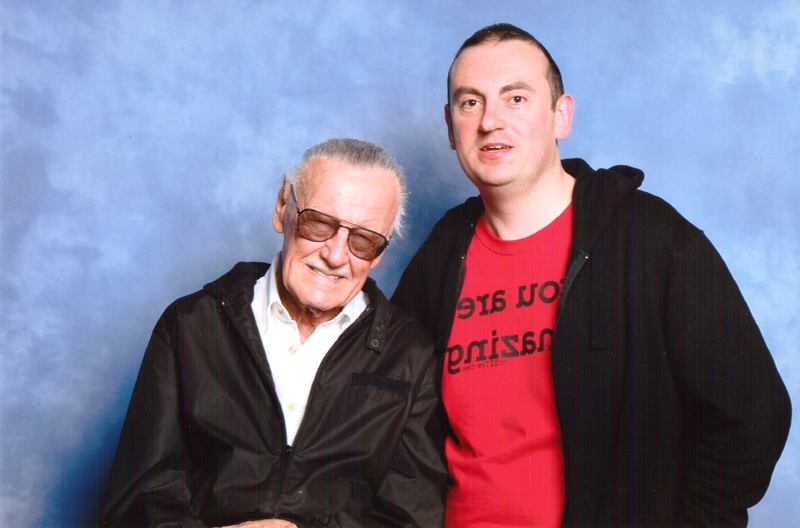 My photo shoot with Stan Lee. It was incredible to meet such an iconic person. 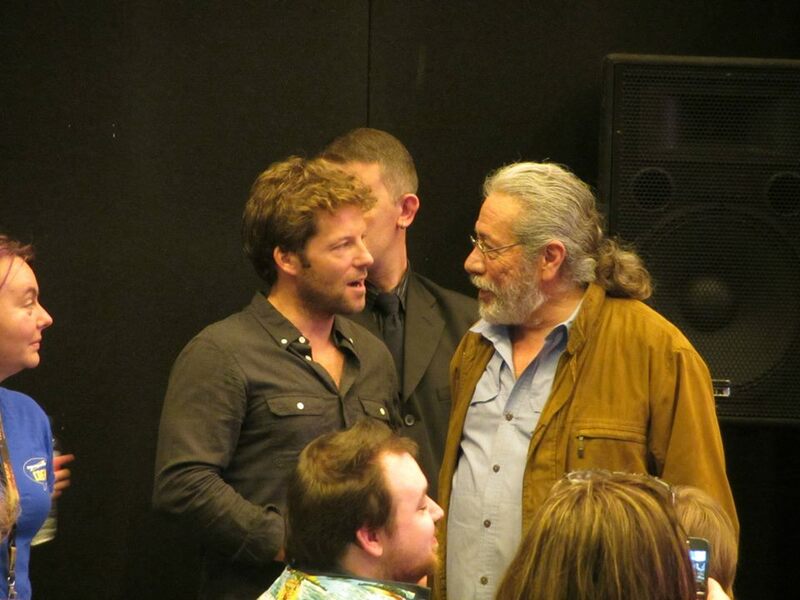 Jamie Bamber & Edward James Olmos at the BSG talk on the Saturday. The picture was taken by Bunny. Jamie and Edward just before the BSG talk. The picture was taken by Bunny. 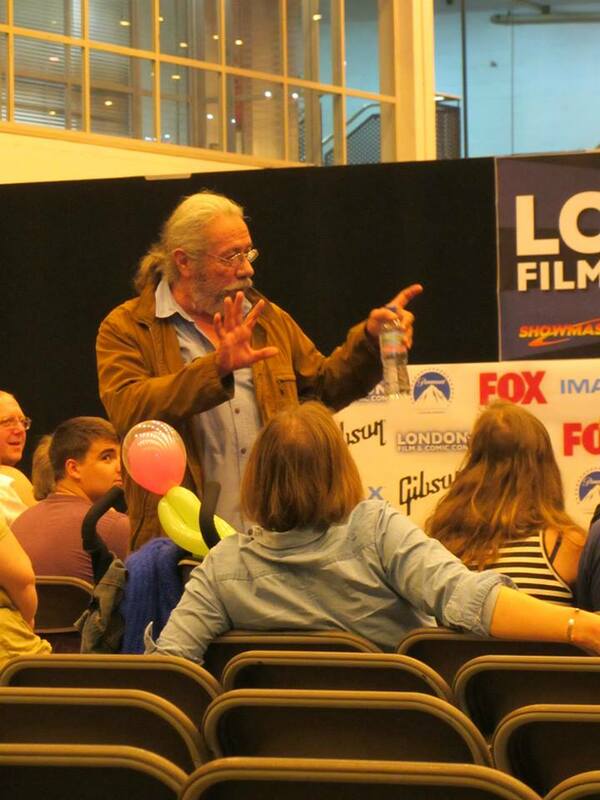 Edward arrived at the BSG talk ten minutes early and decided to meet and greet the audience. What a great guy. The picture was taken by Bunny. Edward signing my autograph. Thanks to Bunny for taking the picture. 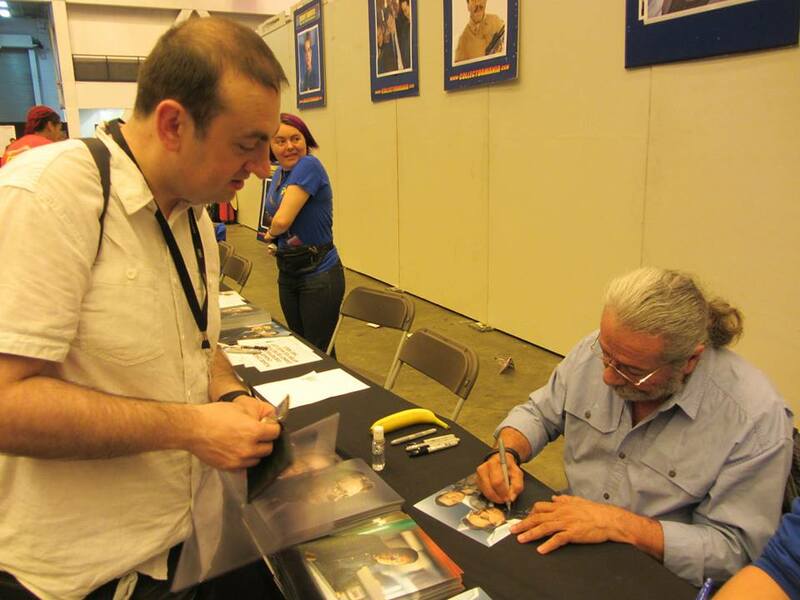 Another view of Edward signing for me.Thanks to Bunny for taking the picture. My Table photo with Edward. Thanks to Bunny for taking the picture. 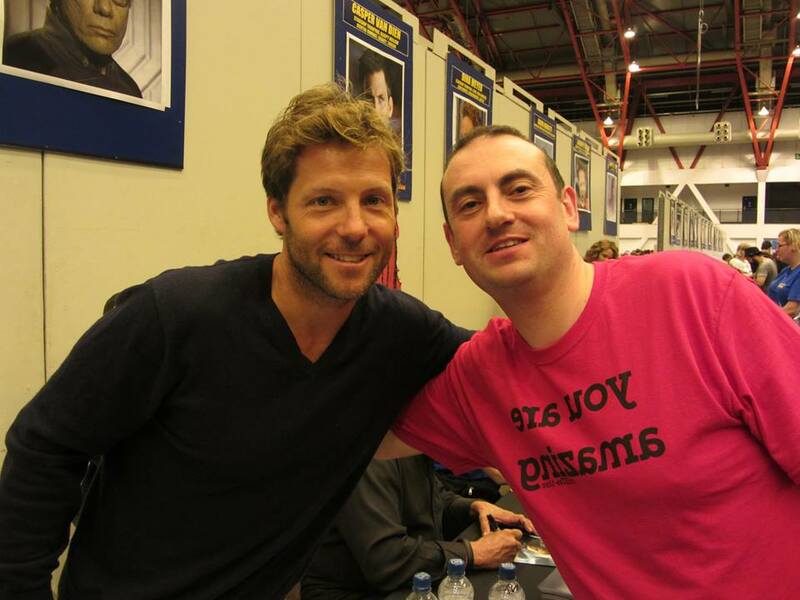 My table photo with Jamie Bamber. Thanks to Bunny for taking the picture. My autograph from Edward and Jamie. 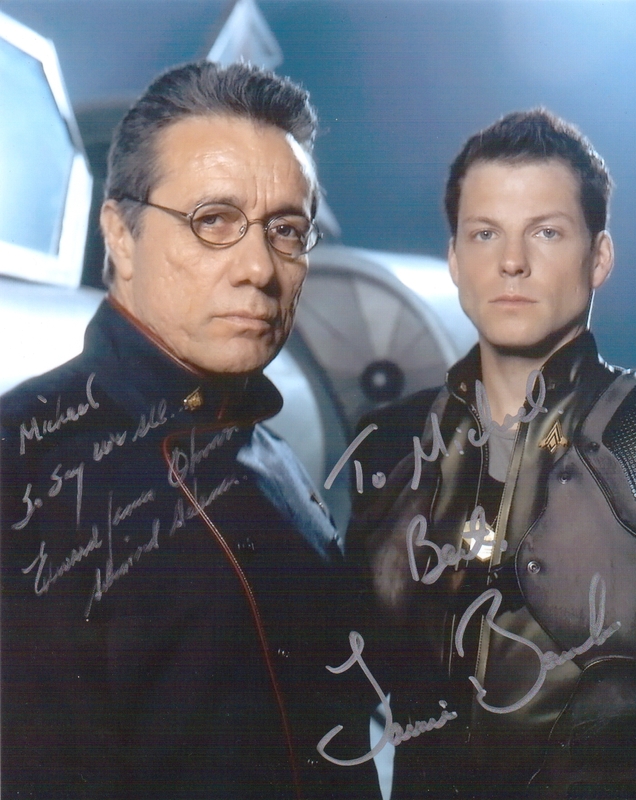 I love this picture and its now one of my most cherished autographs. 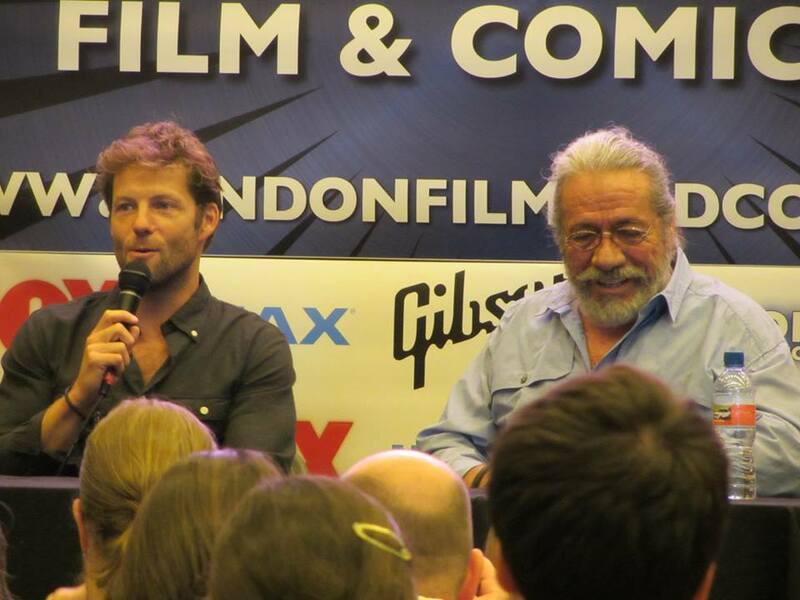 Wow, brilliant photos from London Film & Comic Con!